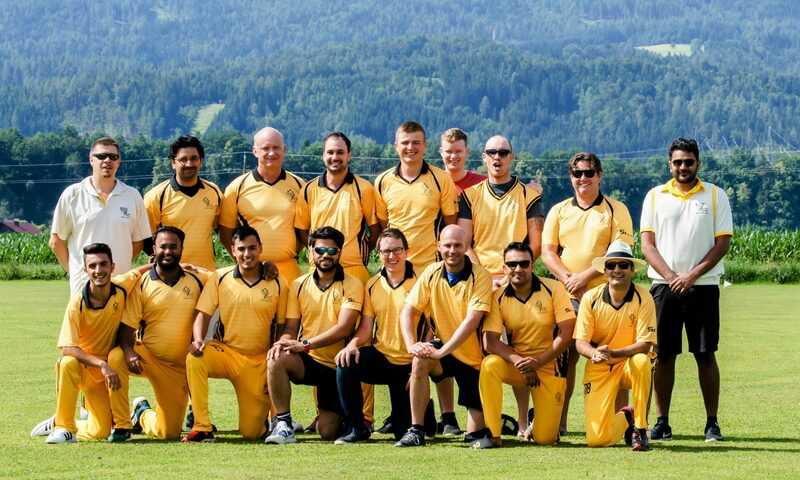 The Danube Benders – a mixed group of native cricketers from Hungary – were in Seebarn this weekend, playing against Vienna CC. While it was just about dry enough to be able to play without interruption, it was a somewhat windy window for cricket – the ACA T20 match that preceded the fixture on the Sunday saw fielders fielding in hooded tops to keep warm from the wind. While Vienna CC prevailed in all the games, it was exceptionally encouraging to see the good work that our neighbours in Hungary have done introducing the game to native Hungarians – both male and female. The Danube Benders toured England last summer, giving their native team a great opportunity to gain experience, and they’ve made some fantastic progress. Highlights of the Sunday afternoon game included one of their female bowlers clean bowling Benji and another batter middling her first ball for four through long-on. Istvan Szabo, one of the touring party has shared some photos with us – thank you Istvan. We look forward to renewing rivalries on the pitch in Budapest in the near future. Thanks must go to Steve Anthony, who was the mastermind behind the Danube Benders and bringing them to tour Austria.